Do you know what your management strengths are? Do you have the skills and qualities required to run a business or a team? Being a manager is a challenging position that requires several skills and aptitudes. Understanding your strengths and knowing your management style will open up career opportunities and help you gain respect and influence. 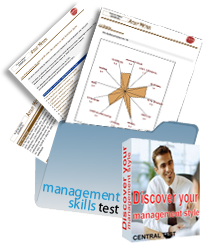 The Management Test gives you a comprehensive evaluation of your skills and management style. The Management Test was developed and validated by Central Test psychologists on a representative sample of the English-speaking population. Central Test is the leader in personality, ability and career testing with more than 3,500 clients and two million internet users. "Quick, precise. One of the better psychometric analysis on line - great value for money." 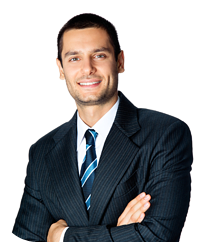 "The detailed test results sent to me are very informative in improving leadership qualities. Really very systematic."